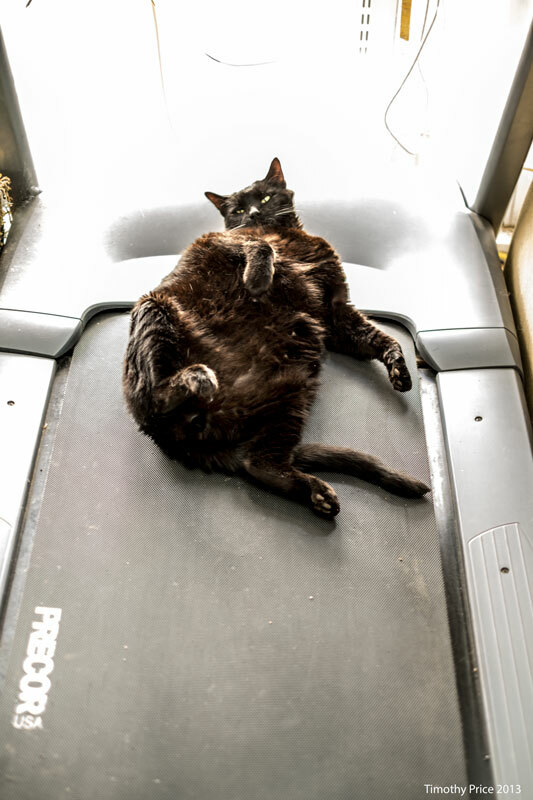 Guildenstern was in the middle of his kitty workout when when I went out to the sunroom the other morning — his cat-like routine on the treadmill doesn’t burn many calories, but he finds it to be very satisfying. Tristan and David are in Madrid, Spain for a couple of weeks. You can follow their adventures at Margarine is Murder.